Welcome! Useful site stuff: Use the triangles on either side of the page to navigate each section. Associated “post tags” are listed alphabetically on the Index page. Please leave feedback on any post using the comment link at the bottom of each full post. Thanks for visiting! Zoe Dickinson is an award-winning poet and bookseller from Victoria, B.C. Her poetry is deeply rooted in place and community, turning a precise and loving eye on shared spaces such as city buses and public beaches. Her work has been published in various literary magazines, including Existere Magazine, Contemporary Verse 2, and 50 Haikus. In 2015, Zoe’s chapbook, Public Transit, was the Canadian winner of Leaf Press’ Overleaf competition. More recently, her poem skipping stones won the Malahat Review’s 2018 Wordsthaw Prize. Zoe has a Masters in Library and Information Studies from Dalhousie University, and a B.A. from Concordia University. 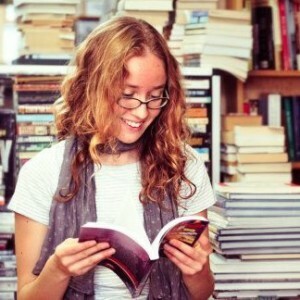 She is a volunteer and periodic host for Victoria’s Planet Earth Poetry reading series, as well as a contributor of bookish articles at BookRiot.com. During her time at Dalhousie, she received the Joseph Armand Bombardier (SSHRC) scholarship for her graduate thesis, “Public Libraries and Search Engines,” which examines the opportunities and challenges presented by online visibility initiatives in Canadian public libraries. She has also published her research, most recently in Library Hi Tech News. A pre-publication version of this article is freely available here, in Dalhousie’s institutional repository. Zoe is currently using the expertise gained during her MLIS at Russell Books in Victoria, B.C., where she is building the store’s online catalogue, and managing the transition to a digital catalogue system.